build authentic relationships, grow in faith, and do ministry together. It's a great place to meet new people, make new friends, to grow and to have fun together. It is an investment that could change your life! Community Groups is where we serve the community together, making a difference and putting feet to our faith. 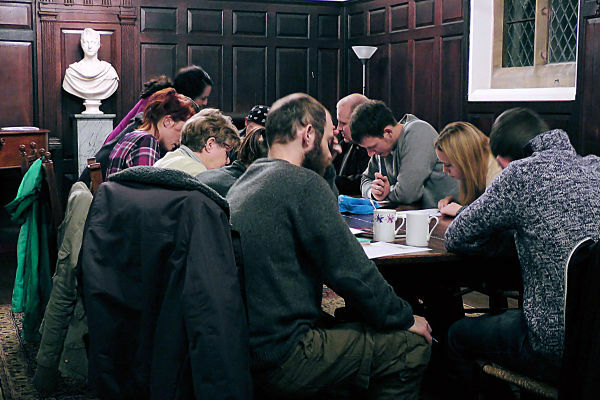 Community Groups are groups of people who are united, through Christian community, around a shared interest and service to a particular neighbourhood or network of relationships. In other words, it is a group of believers who come together not only to worship and fellowship together, but to fulfil a shared mission of outreach and service into the community – a practical way of reaching segments of the community with the love and good news of Christ. It is the church being church! Our first community group to be launched is the Internationals Community Group. This is made up of a group of folk from MEC who have a heart and passion to see people from various parts of the world feeling welcome and helping them to assimilate into the local community. To this end, we have trained TEFL tutors who will be offering free English lessons to anyone in the community who will find this helpful. Wanting to get into great shape in a fun, friendly, supportive environment? Why not join our free fitness bootcamp led by Leston. Fitness classes last about 45 minutes and are run as a bootcamp. There is a great mix of strength and cardio workouts and some great fun in the mix too! Want to meet other people, sit down, drink tea and have a good natter? Then Coffee and Chat is the place to be on Monday afternoons, along with about twenty five others. Barbara Cutler and her team love leading this group which they see as a real service to our community. Coffee and Chat is a great way to engage with other people and to make new friends. If you're interested in Coffee and Chat (or know of anyone else who might be interested), why not come along, or invite others to come along and enjoy some friendship, fun – and of course a good cuppa!